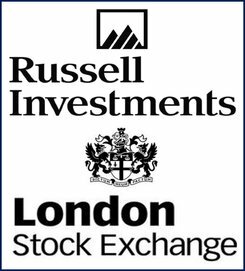 The London Stock Exchange Group PLC (LSE) has agreed an acquisition deal with Russell Investments, the company that owns the Russell 2000 stock market index. The LSE Russell Investments $2.7 billion (£1.59 billion) takeover is the biggest ever by the UK-based company which owns the London Stock Exchange, the Borsa Italiana, and MillenniumIT. LSE shares, which have gained by about 14% since the beginning of 2014, rose nearly 7% by midday today. The purchase, aimed at boosting LSE’s FTSE International Ltd. business, will be funded through debt financing and a $1.6 billion rights issue (issue of shares offered at a special price to its current shareholders). Some analysts expressed concern that if market conditions worsen, the LSE would be saddled with heavy debts which could undermine its credit rating. When the deal is completed, the LSE will have a net debt of 2.4 times EBITDA (earnings before interest, taxes, depreciation, and amortization). Throughout its 213-year history, the LSE, the oldest independent bourse in Europe, has survived scores of takeover approaches. Update, August 22, 2014: LSE says it will raise £938 million ($1.6 billion) to help fund Russell’s acquisition. The LSE initially confirmed in May 2014 that it was negotiating with Northwestern Mutual, a majority holder of Russell share’s, about a potential sale. At the beginning of this year, Northwestern Mutual had said it would be exploring options regarding its Russell stake, which it had purchased in 1999 for just over $1 billion. When the deal is finalized, which LSE says should provide a boost to earnings within the first year, the LSE will become the third-biggest exchange traded funds (ETC) player globally. The contract will need to be approved by both shareholders and regulators. The LSE forecasts savings of $78 million per year and a boost to annual revenue of $30 million within three years of the deal being completed. LSE Chief Executive, Xavier Rolet, who described the takeover as another significant milestone for the company, said the move builds on one of LSE’s core strengths in intellectual property and helps grow its presence in the world’s largest global financial services market, the United States. “Russell’s investment management business has been a pioneer in innovation in the areas of passive management and smart beta and incorporating such strategies into our multi-asset solutions, and we are committed to maintaining the highest standards of client continuity and service,” Mr. Brennan added. The Seattle-based company, Russell Investments, operates a stock market indexing business and an asset management business. It has approximately $256 billion in assets under management. It claims that roughly $5.2 trillion in assets are referenced against its US indexes. The acquisition gives LSE a greater presence in the US, the world largest financial market. What about Russell’s asset-management arm? David Warren, LSE’s Chief Financial Officer, said his company has not yet decided what to do with the asset-management arm of Russell. He added that a comprehensive review should be concluded around September, when the acquisition is finalized. LSE’s diversification strategy into technology, information and post-trade services is starting to pay off. In May it reported a 50% increase in full-year revenue. However, its net profit fell to £170.1 million compared to £217 million in the previous year. Takeovers and acquisitions occur when one company buys another. Mergers, on the other hand, are like a marriage (fusion) of two equals.